Often, the lack of quality real estate in the community leads an individual or family to building a customized home. They’ve probably placed a lot of planning into the design of their newly built home. Still, the homeowners might feel that something is definitely missing in comfort or that they would like to add a nice addition that also adds value to their home. Certainly, many additions instantly add value and comfort to the home for the family. Let’s take a closer look at 5 nice additions to your newly built home that you might want to consider. Homeowners might complain that they should have added extra bedrooms to their newly built home. However, the extra space for a bedroom might already be available. Turn that attic space or extra storage room into a guest bedroom. According to real estate experts, a complete bedroom addition instantly adds value to the entire home. Simply convert an unused space in the home into a fully functional bedroom area. Replacing ordinary windows with high quality decorative windows is another great way to add instant value and beauty to the newly built home. New decorative All-West Glass Ltd windows are very eye catching, but they also add an elegant touch to even the most boring building structure. Real estate experts suggest that adding decorative windows is a great final touch. Most will recoup the window value and more. Those thinking about selling their home in the future, should add an outside deck to their home. An outside deck is also a way for the family to enjoy the outside spaces. 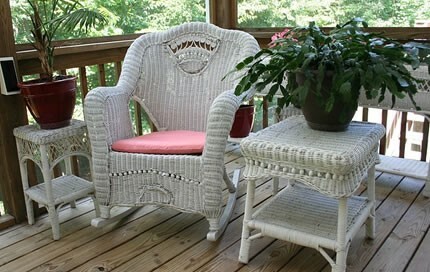 People are very interesting in outdoor living and outdoor spaces. A simple deck adds considerably more appeal to the home. Today, adding a deck to the home is very affordable. The homeowner could add a basic deck or hire a contractor to build a more detailed and elegant deck to their home. The newly built home looks out on a muddy lot. This definitely lowers the value of the property. Add elegance and style to the home with the help of a professional landscaper. A few flowers around the house, green plants, trees, and a flagstone walkway leading to the front door add interest to the property. Update the look of the exterior doors with decorative letters, new locks, new handles, and decorative hardware. Go bold and glamorous or subdued and elegant. Either way you decide to go, make sure that it speaks for the entirety of the house. You wouldn’t want to have a bright yellow door on your old Victorian style home in most cases. Making your new house a home to love can be as easy as making a few small additions that are significant to you. Add these easy finishing touches to your newly built home to create an elegant and comfortable space and you will be sure to love it!